I received these lashes as a free gift with an order I placed. I've never worn false lashes before as I could never apply them correctly but I thought that as they were free I'd give them a go. I absolutely love them! I've used them on five occasions now and they're still in great condition. I'm not really sure how long the average falsies last but I can see these lasting for quite a while. They were very easy to apply and the glue holds them in place all day. I'd definitely purchase these lashes in future and would recommend them to anyone. I loved these lashes! I bought to use on a client, first time buying the lashes and they looked quite natural considering how long and whispy they are. All the photos looked amazing will be purchasing these again soon! Gorgeously wispy. Easy to apply with the amazing adhesive supplied with lashes. Natural looking not to heavy. A must buy especially as they are in offer at the moment. 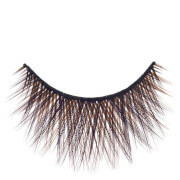 I love these strip lashes I bought a couple of pairs for my makeup kit for my clients but I'm now wearing them myself. Would 100% recommend I love Illamasqua products and do my clients. 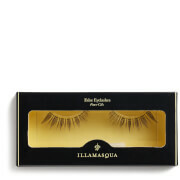 Gorgeous eyelashes, can reuse them so many times and the glue is the best glue Iv used so far! Best false lashes yet - love the delicate full effect. These are must have lashes! I love that the band is thin and flexible so it's easy to apply especially for beginner this would be ideal! Just in love!! 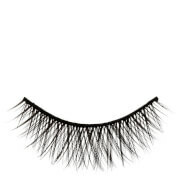 These lashes are lightweight and fluffy. The band is very thin and flexible so they are very easy to apply. I've used mine almost daily for a month and I'll get many more months out of them with good care. These are premium lashes at a premium price. Absolutely recommended.